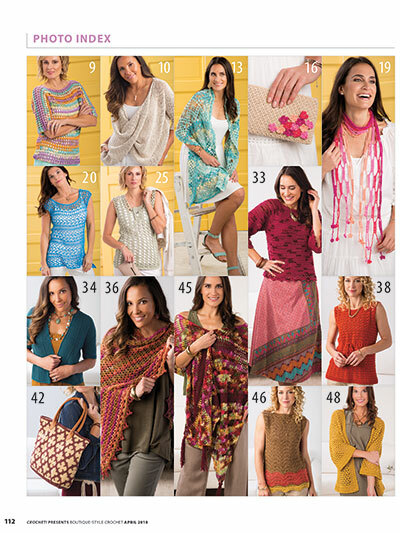 Beautiful crochet fashions are everywhere! 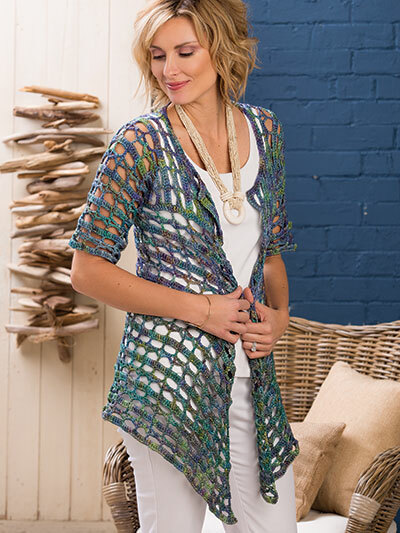 From trendy, upscale boutiques to your local department store, crochet fashion is in the limelight! 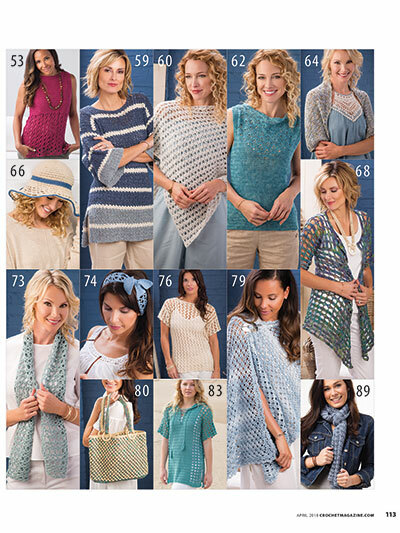 Crochet your own boutique-style fashions with this special edition featuring 30 designs guaranteed to update your warm-weather wardrobe! 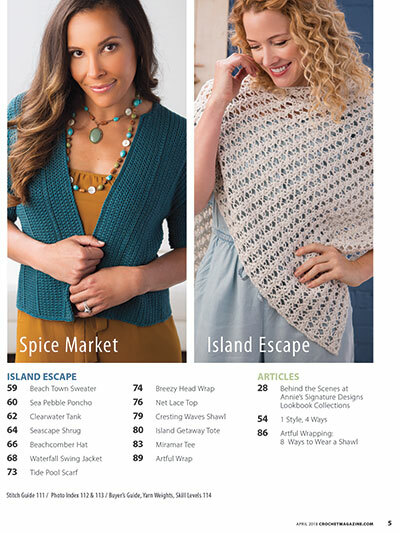 Filled with wearable fashions sure to fit your lifestyle, this issue features several tops, jackets and gorgeous accessories perfect for spring and summer that are sure to have you envisaging your next crochet adventure. Travel in style with fashions perfect for every destination! Discover updated jewel tones in spicy colors reminiscent of a Marrakech spice market in our Spice Market chapter, encounter crochet fashions perfect for your next warm-weather getaway in our Island Escape chapter, and find light and lacy tops and sweaters in pretty pastel shades in our Spring Breeze chapter. 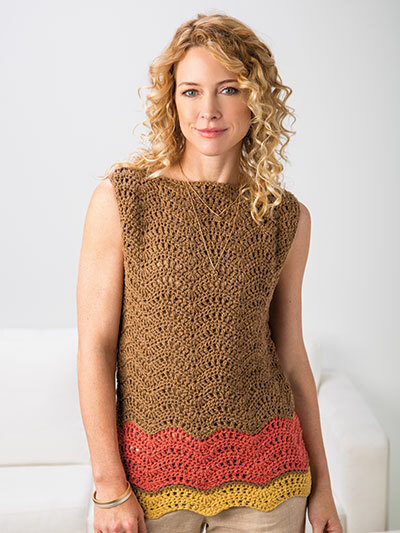 Plus, get the most out of your crochet fashions by learning how to incorporate items you already have with your latest crochet wearables. 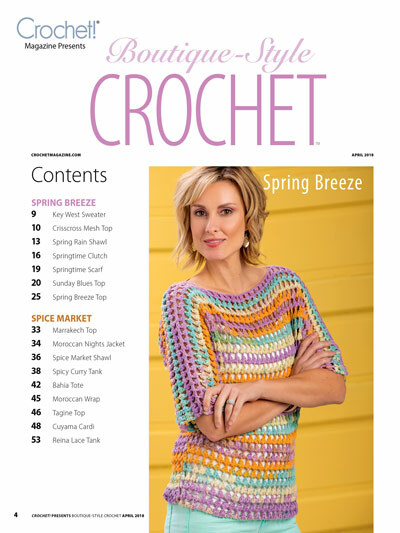 This collectible issue is inspired by 2018 spring/summer color palettes, and each chapter features a collection of color-coordinated wearables sure to inspire you to pick up your crochet hook and get stitching! 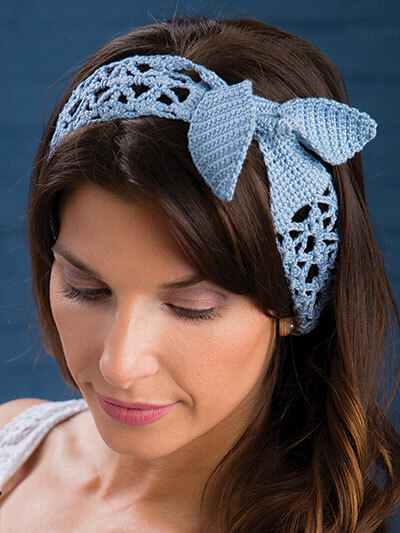 Find all this and more inside Crochet! 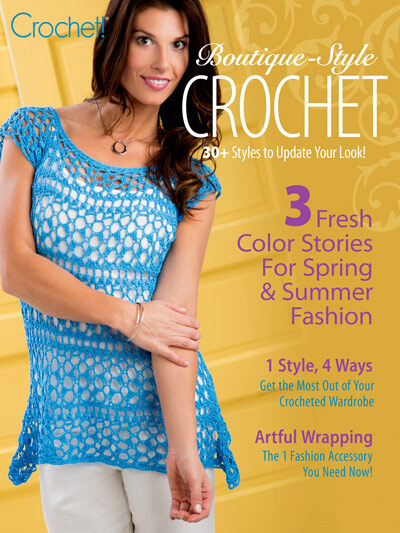 Magazine’s Boutique-Style Crochet. Download or get your copy of this special issue today! Love it ... Can't wait to get started on several pieces (just need the yarn). Easy to follow instructions, and patterns for all levels of experience. Hope there are more in the future! So many beautiful patterns in one magazine, you can't go wrong with this one. I love the pictures that show the stitches of each article when completed. 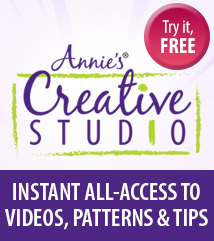 It's packed with patterns your gonna want to make them all .I am starting now. I am hoping more of this style magazine gets published again. I left out the diagrams ,for stitches in case you haven't used one in awhile. Seems like they thought of everything. I'm very excited about this pattern.